Includes Analyzer and Aqueous Liquid Module (ALM.) One of the most versatile and sophisticated laser diffraction particle size analyzers available. Using the Fraunhofer and Mie theories of light scattering, the LS 13 320 MW offers the highest resolution, reproducibility and unsurpassed accuracy. Its state-of-the-art laser-based technology permits analysis of particles without missing either the largest or the smallest particles in a sample. Its wide dynamic size range, number of size channels and sample measurement options distinguish the LS 13 320 from similar analyzers. 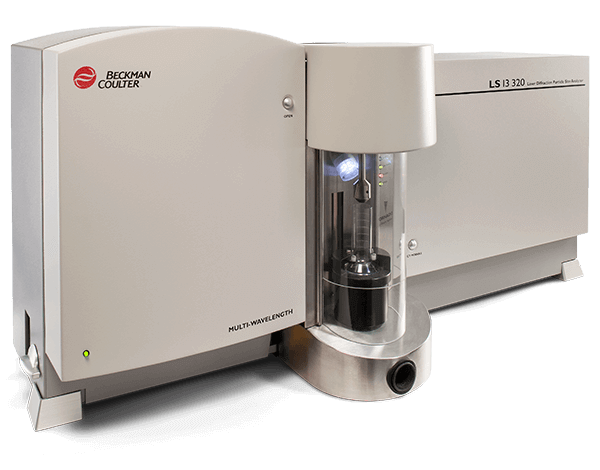 Equally at home in research and development, quality control and manufacturing, the LS 13 320 MW offers you an easy to use system that produces fast and reliable results, yet technically advanced for dry, aqueous and non-aqueous samples to satisfy all your particle sizing needs.